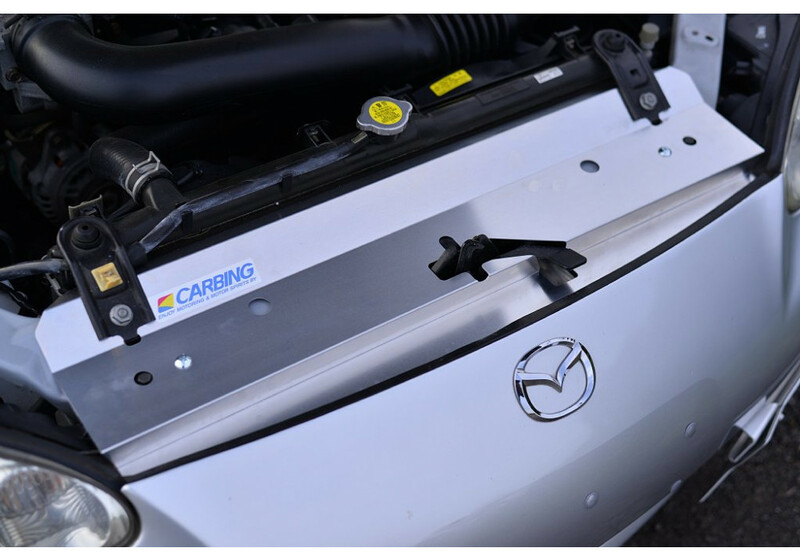 Radiator cooling plate by Carbing for NB (1998-2005) Mazda Miata/MX-5. 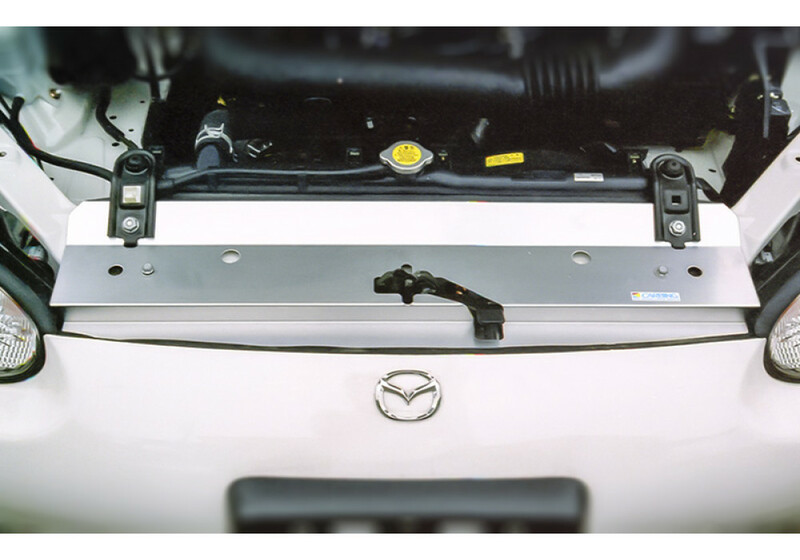 This product sits on top of the radiator and front grill and condenses the cold air blowing into the car toward the radiator. This allows for more efficient cooling of the vehicle which means longer seat time even while pushing the car to its limits. 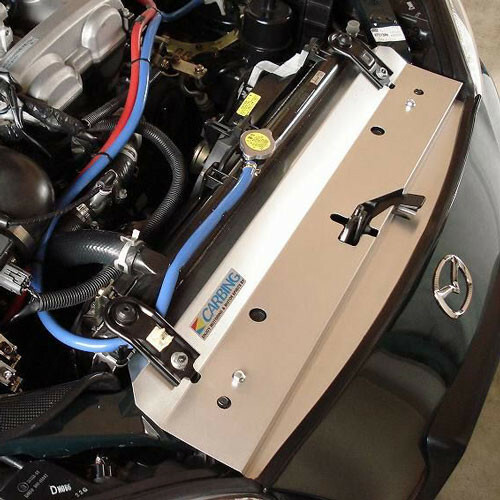 An easy mod to up the Miatas cooling power without having to buy a new radiator. 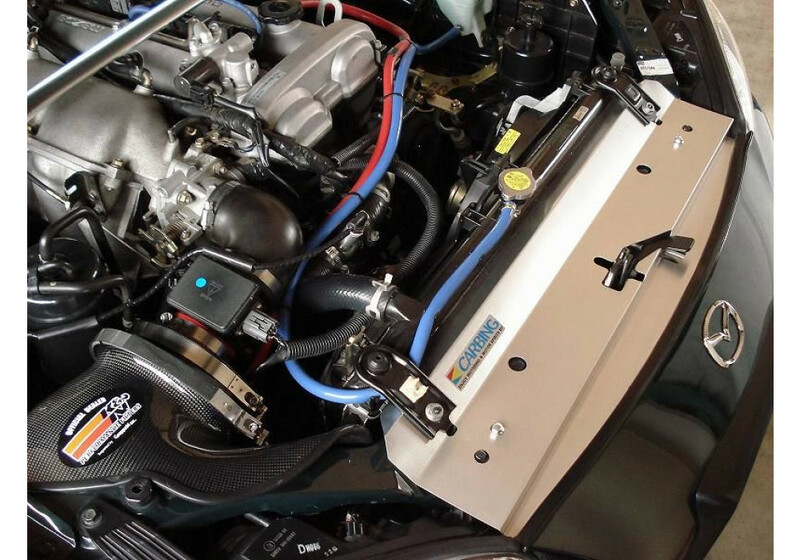 Carbing Radiator Cooling Panel should be ordered at REV9 Autosport https://rev9autosport.com/carbing-radiator-cooling-panel.html as they provide the best service and speed we've seen so far!